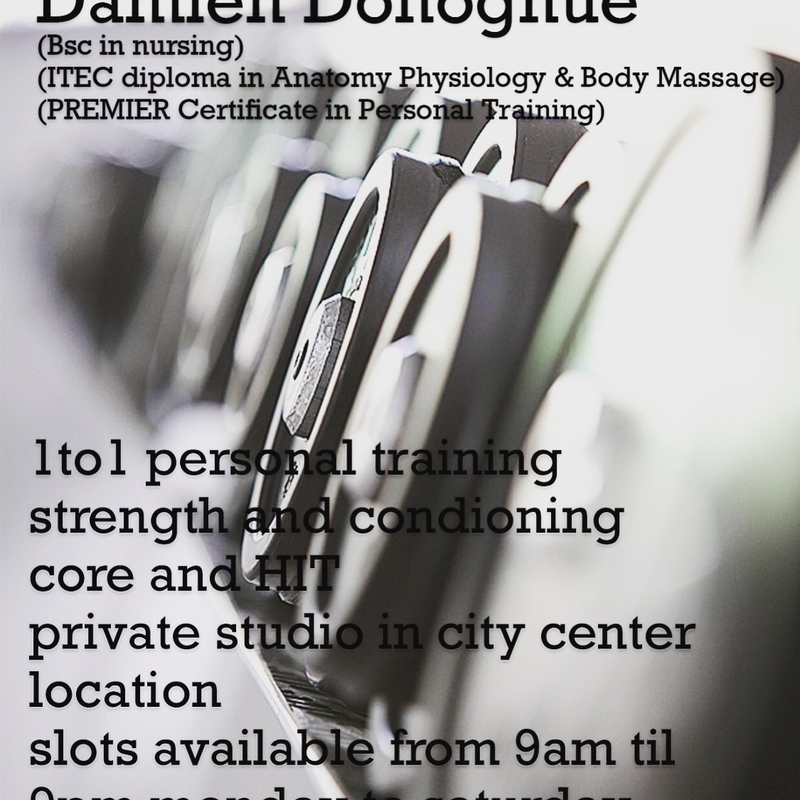 Registered nurse offering personal training with health complications in consideration... 20 years of training and 10 years of nursing... can train you one to one in my private studio in Galway... also provide home training and located in Dublin and Cork for same ! As someone who's sustained injuries to my knees before and had little experience with gym equipment in general, I was nervous of starting. Damo is a amazing at gauging my fitness levels so I am constantly progressing but never feel frustrated when fatigue sets in; he's got a perfect demeanor for a personal trainer and the sessions are always rewarding and fun. Knowledge-wise, he is able to explain why we are doing the exercises we are doing, what they will achieve and how they should feel physically so you always know you are doing them correctly. It's given me the confidence to work out regularly on my own and helped me see the mental as well as physical benefits of regular exercise. His studio is also great for those preferring 1:1 sessions as it's private and fully fitted with everything you would need for a workout. A1 across the board. When it came to making a choice to getting healthier I went to Damo to get me on the right track. The quality of his knowledge of fitness, his motivational skills, expertise in designing a tailor made workout plan to meets my needs, and overall professionalism in what he does were immediately obvious. He also made training fun, but always very challenging from one week to the next. Complacency was not an option! 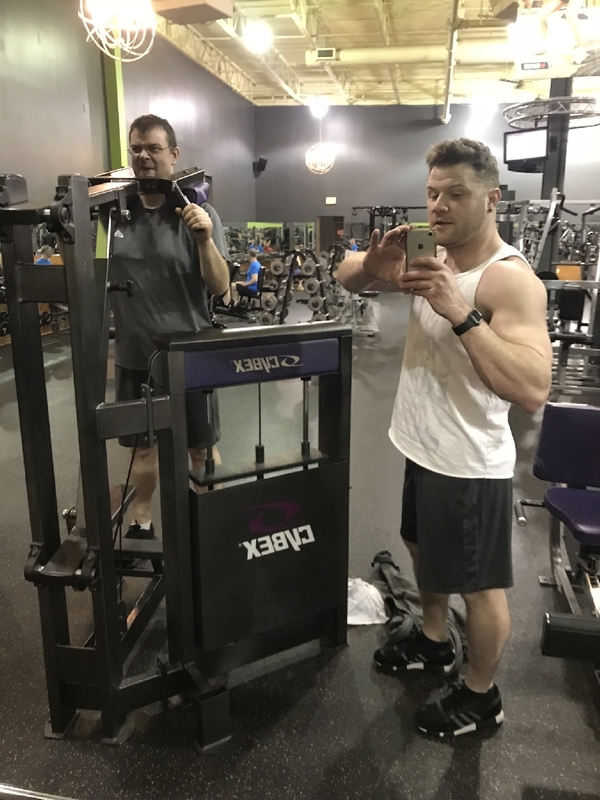 The tools that I learned from him will allow me to keep progressing in a healthier lifestyle and always keep my workouts challenging and interesting. To be honest, When it comes to fitness, there are a lot of trainers parading as experts these days, dangerously so. As someone who has suffered as a direct result of this, it has been amazing to work with someone who actually knows the body inside out.., and has the credentials to back it. His nursing background gives him that encouraging edge which I think is sometimes neglected with other trainers. I literally don’t know myself now, zero pain, and boundless energy. A game changer. Would highly recommend. Thanks Damo. Damo has really helped me achieve a positive mindset towards fitness and nutrition. Before starting his programme I was constantly battling with a poor diet and binge eating. I did exercise but what I was doing was completely wrong for my body type and mindset. Damo put together an achievable exercise plan, incorporating a mix of cardio and weight training- which I love! I am now cooking healthy meals and eating more than ever. I have never felt better!! He’s just great!! This man really knows his stuff and is very good at explaining - and correcting - technique. He's a tremendous motivator, urging you to go that little bit extra. He's always enthusiastic and keeps in touch to make sure that you're not feeling any aches or twinges. Simply the best. Very attentive and his attention to detail is excellent. Always keeps things interesting with his training. Extremely knowledgeable and friendly trainer. Knows exactly what he’s taking about and is a great motivator. 5 our of 5 definitely would recommend him to anybody at any level of their fitness journey. Also great value for money. Signup below to keep up to date with everything The Gym Advisors related, including guest blogs, vlogs and events!